The distance can be calculated by the tachometer or other device etc. At first two points can be taken in the surface to understand the calculation easily. 1) A, 2) B. 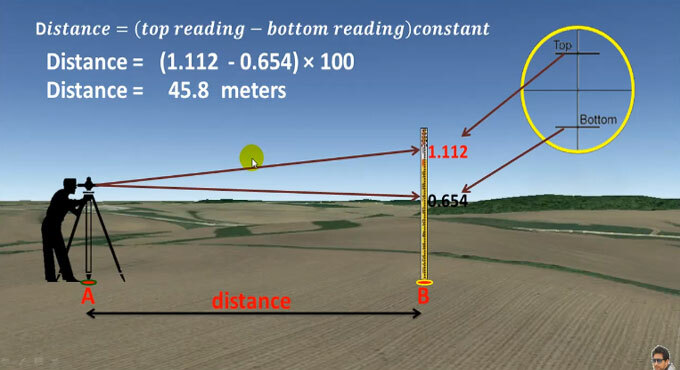 Next the horizontal distance of this two points need to be calculated. To calculate a machine has set up in Point A and a stick on the other point (B). Then the upper and lower reading radiance are taken. The upper reading radiance is 1.112 and the lower one is 0.654, from them by following the formula the distance will be calculated easily.